If you love baking, cooking, and/or spreading, as well as making healthy choices like eating right, this opportunity is right up your alley. 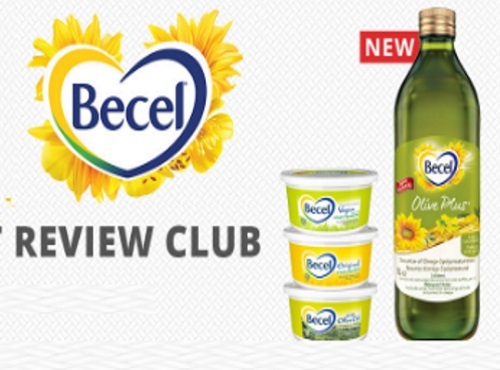 180 Canadian women from Chickadvisor's Product Review Club will get the opportunity to try the new Becel Olive Plus Oil Blend: a delicious blend of canola, extra virgin olive and mid-oleic sunflower oils! Becel Original Margarine, Becel® Olive Oil Margarine and Becel Vegan Margarine. You have until April 30, 2017 to apply. Selected members will be contacted by email during the week of May 1. For extra consideration make sure you spread the word on social media and remember to include #tryBecel when you post on Twitter, Instagram and Facebook.